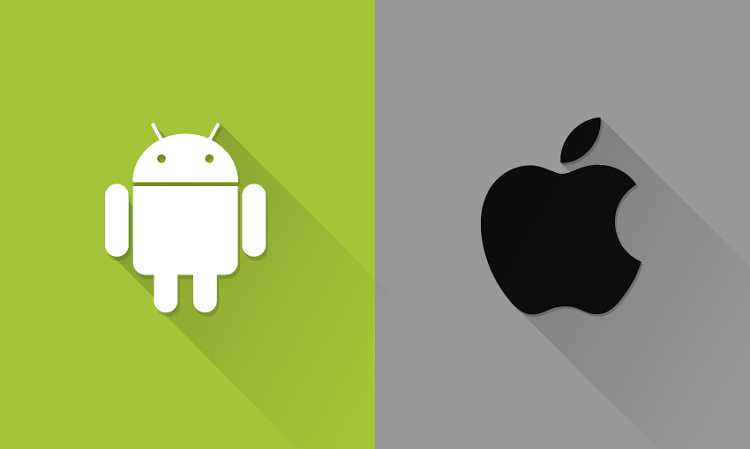 Android (Google) is an Open Source Operating System and iOS (Apple) is a Closed Source Operating System. Many users believe Apple Devices more user friendly because of the simple design of the operating system layout and that Android devices are hard to use, but this simply is not true. Both devices have their benefits, but it all comes down to personal preference. Many Android devices allow the user to add an SD card for additional storage space. The official definition of Open Source is: denoting software for which the original source code is made freely available and may be redistributed and modified. Android is a great example of an Open Source operating system (others examples are ubuntu, linux, etc.). Android allows it’s users to develop their own apps freely http://developer.android.com/distribute/tools/launch-checklist.html and publish them to the Google Play Market https://play.google.com/store?hl=en. The application file for an android file is an .apk file. .apk files can be installed separate from the Google Play Market. Allowing developers to test apps or for common users to install applications that are not in the Google Play Market. To be safe only install .apk files from sources you trust, some applications can hide viruses or steal information. So it’s always good to have some type of anti-virus protection software. The source code is available to anyone to view or modify: https://source.android.com/. The ios operating system is used in iphones, tv devices (such as apple tv), Tablets (ipads), Mp3 Players (ipods), Smart Watches, Computers etc. Apple devices commonly come in storage sizes of 8GB, 16GB, 32Gb, 64GB… etc. This can be a downside if you would like to add storage to an iphone which is not currently possible. There are many popular accessories for Apple products such as the lightning usb cable (which is reversible), the Apple Earpods, and the standard 30pin connector. Image logos from their respective company sites. “Android Versus IOS By Region – #infographic – Best Android Apps.” Best Android Apps. N.p., 15 Oct. 2015. Web. 07 Jan. 2016. <http://bestandroidapps.com/android-versus-ios-by-region-infographic/>. This entry was posted in Other, Tech News. Bookmark the permalink.